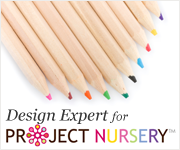 Today we have a children's party planning specialist guest blogger sharing party ideas with us. If you have a little boy, or if you have even heard of a little boy, you know that they have a lot of energy. When your son is turning another year older, and you throw him a birthday party, you have to plan energy burning activities for the kiddos to tire themselves out and therefore stay well behaved during the party. 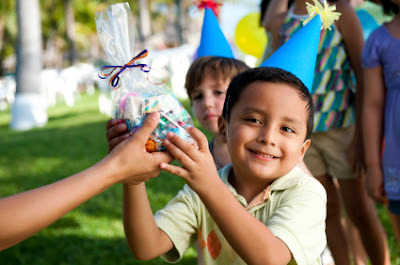 Here are 3 interactive boys’ birthday party ideas that will keep these little guys on task, spending energy and enjoying lots of playful camaraderie. This theme is good for the spring or summer because you can make a racetrack out of your backyard. Cut, tape and paint cardboard boxes that look like racecars that each boy can wear around his body with straps, but the bottom is totally cut out so they can run. Have a speed race, a gauntlet race with obstacles like a sprinkler and orange cones, and a relay race. Remember to get your checkered flag for the start and finish signal and let the boys really go wild! This one is good for an age group that can read clues, so that you can set up a treasure hunt. If the weather is cold or rainy you can turn your house into a deserted island for them to search or if the weather is nice you can hide clues and a treasure chest outside full of chocolate gold coins and candy rings. The point is to make it as elaborate and involved as you can. An adult can dress up as the lead pirate and make sure everyone stays on task and can help them reason through the clues. The more mystique and enthusiasm the adult has—the better. Again, you’ll need decent weather for this one. Turn your backyard into a kid’s decathlon of your own device, complete with speed race, Frisbee tossing, suction cup-tipped archery, sack race, wheelbarrow race, ball toss in a bucket, and any incorporation of backyard equipment like monkey bars if you have them. Have opening and closing ceremonies and then serve lunch! If you get the kids running around, lunch or dinnertime will be a cinch to manage. There is nothing like organized, goal oriented activity to keep boys behaving well and getting along great.